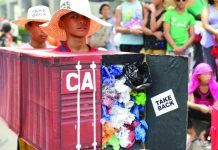 THE Integrated Bar of the Philippines, along with fisherfolk from Palawan and Zambales, is filing with the Supreme Court today a petition against some members of the Cabinet and heads of several government agencies in order to compel them to act towards saving the environment in the West Philippine Sea. Among those named as respondents in their petition for the issuance of a Writ of Kalikasan are Secretary Roy A. Cimatu of the Department of Environment and Natural Resources, Secretary Manuel Pinol of the Department of Agriculture, and Admiral Elson E. Hermogino of the Philippine Coast Guard. Co-counsel with the IBP is the Free Legal Assistance Group headed by Dean Jose Manuel Diokno. The Petition anchors its factual allegations on the evidence submitted by the Philippines in the South China Sea arbitration between the Philippines and China. The Philippines won the arbitration on 12 July 2016, but the Philippine government has failed or refuses to enforce the ruling in a manner that is beneficial to Filipinos, particularly our fisherfolk. The arbitral tribunal categorically found that the artificial island building activities of the Chinese in the West Philippine Sea have led to severe environmental damage. The Philippine government submitted several pieces of evidence to support its claim, and the same pieces of evidence will be brought before the Supreme Court. Foreign poachers and foreign construction and land reclamation entities have caused massive environmental damage in Philippine waters and the Philippine EEZ. They destroyed coral reefs, harvested endangered species including giant clams, engaged in illegal fishing, and built artificial islands. The Petitioners pray that the Supreme Court issue a Writ of Kalikasan directing the Philippine government to enforce Philippine environmental laws, including fisheries laws, in the relevant areas of the West Philippine Sea. 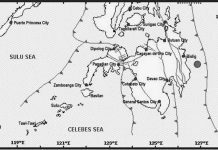 Twin earthquakes hit Davao Or., Davao Occ.